( Mur’ – cher ) n.
through unconditional love and holy nurture! Murture is a system that will help gain a more loving intimate relationship with God, self and others. The process of awakening to a true self within is transformational. Holy nurture matures the inner being, forming a whole new self. A process happens that merges the unconditional love from God inside the self to awaken “divine essence” buried within the individual’s core. Living in awareness of this true self empowers Real Identity to shine out and forces the false outer self to stop masking authenticity. Murture allows enlightenment to continually develop spirituality and find higher purpose and meaning that transcends old ways of living. CLICK HERE to see full cover and backpage. WHO’S WHO DO YOU THINK YOU ARE? Whose Kid are you really? Who owns you and to whom do you identify or belong to? Are you feeling alone, misunderstood, or under the influence of pleasing others or needing their stamp of approval? Are you a loner, avoiding intimacy with others, and lacking a real connection with anyone? Are you so busy with activities or social engagements that you rarely spend time alone with you? Is Your IDENTITY SECURE? Has it been stolen, lost, and robbed? ARE you kidding others? Does your inner little kid come out to shock you and embarrass you at times? When someone asks you a question about who you are, how do you respond? Of course, you may be thinking that it depends on their emphasis or WHO is asking the question. My contention is that every adult human is responsible to KNOW who they are and where they came from- no matter who is asking or what the circumstances are at the time. When you are confident in who you are, it changes how you THINK and keeps you mindful and more in balance of yourself. Then, other things are more stable around you. Centered thinking is responsive, not reactive while still being spontaneous and moderate. When you are unsure, uncertain, or confused about who you are- there are unlimited ways those uncertainties get filled in FOR you (often with chaos or things that do not help). For example, if your identity is dependent on a role you have (like, mother, teacher, business owner, good friend, etc. ), that will be your focus and how others perceive you. Typically, you will format yourself to those roles first and condition yourself to operating mostly within those systems. If your identity is confused (constructed on others ideas about you based on your behavior, (such as, “nice person, jerk, loser, intellectual, etc. ),” that will be the main focus. Again, you will conform yourself to others expectations of you and your thinking will reinforce those. When there is insecurity in WHO you are inside yourself, the external world will always fill in all those holes with opinions, ideas, judgments, labels, and all kinds of conditions that are fortified, and believed over time. When your identity is founded on what others think or what you have been told about yourself, a MASK is created from those adaptations. Like any mask, if you wear it all the time, people do not know who is under that façade and so they treat you as you appear. This mask is actually a false self and is full of conscious and unconscious thoughts that mix-up, mess up, and drive your TRUE self-underground. When we repress or suppress our true feelings, they are put in lockdown in our subconscious. The false self is then the one presented, but is built on top of the vaulted, buried true self. The true self is always there waiting to be awakened and made fully known, but many people hide from the True self living in favor of what others say about them or how others experience them. It SEEMS easier and safer to go along in order to get along than to try to be real, exposing oneself to vulnerability and all other kinds of not so good feelings. Being accepted is a strong need for all humans. People do not want it to be known that they feel rejected, or fear being left out, not recognized, embarrassed, guilty, or judged. So, they hide behind the mask. II. Who Am I Really? (author comment): This book is all about development and how to arise into a new life that is lived out of the spiritual being that you are instead of staying stuck in arrested development as a human being trying to become spiritual. It helps cure the feeling of going back to the same old ruts. Being awake to life and the seriousness of living is what this book is all about. It is about living in the present, being mindful of self and others, being a sensitive being who is deeply interested in all humans and connecting to them at deeper levels. All humans have adopted some form of adaptation and are often confused about their true identity. Some have no idea of who they are! It is just part of our human condition Murture is the answer: merging with a divine Being who loves all humans unconditionally and sheds that love onto all. This promise of love is given to any one of us who has the interest in waking up to receiving it will be able to- through seeking love. Your conditioned way of thinking has been learned from all the situations that you have experienced due to the way you were trained. In my humble opinion, we have only begun to understand the true identity of individuals as God sees them. Murture is living life as though you are climbing a ladder. You climb up out of kidding yourself about who you are and become real to yourself and others, using listening without judging. It is about speaking the truth lovingly. Murture means you have gone back to your childhood, looked under that hood, and uncovered the pieces that you hid when you were a kid. It means letting unconditional love break through into the darkest places of your wounded self to heal and mature. It is about letting your true self come alive, out of hiding, and being raised up again without fear, obligation, beguiling, and negative energy from others. It is about perfecting the perverted affect of feelings and emotions that are distorted and distressed and are in need of unconditional love from a perfect Parent! Murture is about letting the light of understanding enter in to show you the truth of who is your real parent—a loving being that is neither male nor female but has the protection of a safe father’s love and the nurture of a safe mother’s love. Since God is neither male nor female, but incorporates both in Spirit, only God can fill you in on who you really are and how that perfect love can rescue you from the kid-napping of your inner child. Murture brings out the spiritual nature in us to be nurtured by God. The integration of becoming whole and overcoming past influences of trauma, chronic stress, or other conditioning is a process. Murture opens up an inner knowing that you are loved unconditionally, so it affords you the opportunity to merge and be one with that Perfect Love. There is no dependency on anyone or anything else so you know you do not (nor could you) have to be perfect to be lovable. When you continue to grow with murture, you begin to feel free to express your own reality in loving and respectful ways. I use STEPS model in my therapeutic counseling to help people stay in balance while uncovering their real identity and learning to live in a reality that is true to them. These are the five aspects that need perfect balance. When you are stable and grounded in perfect love, you are conscious to check in and see if you are in balance and living from a centered position. Journaling and taking time to reflect is essential to keep the rhythm of this alignment. If old habits appear, quickly find the imbalanced places and recharge those places that have been neglected. Problems are now only opportunities for solutions that come easily as trust is placed in Divine Love connected to the balanced center of you. You are now guided by positive spiritual energy that helps you avoid old traps and suffering from the ups and downs of anxiety and depression. Thoughts are ordered and centered. It is easy to focus with new settings on love and available help 24/7. The inner spirit of you is attuned to the one that aligns with the power greater than you. Thoughts are clear and clean. There is a mind that works in confidence to bring new wisdom, and the old clutter or confused head is no longer present. Your thoughts align with the steps you need to take, and decision-making is certain as it is based on trust in God. Emotions are stable and feel centered. Even when circumstances happen that are upsetting in any way, a new awareness kicks in to tell you that things will work out for good. The old ways of spinning confusion, roller-coaster rides, or any other crazy feelings are nonexistent. You are living in an awakening that stays present in the moment and does not trigger you into past traumas. All things that are connected to your physical needs are healthier. There is a sense of feeling more energy and less disease. Physical needs are met in new ways, including finances and all things that pertain to the material world. In general, you feel in good condition in mind, body, and spirit as you navigate the physical world. You are very good at setting boundaries. You release old resentments and judgments, as you know they are poison to you. Relationships are more harmonious as you realize there is no need to prove or defend yourself. You live in a reality that is truthful and honest, and you take responsibility for treating self and others well. You have no need to compare yourself to anyone else to feed the old ego. You are able to share to be known and give love to others. This is exactly what is unique about murture. 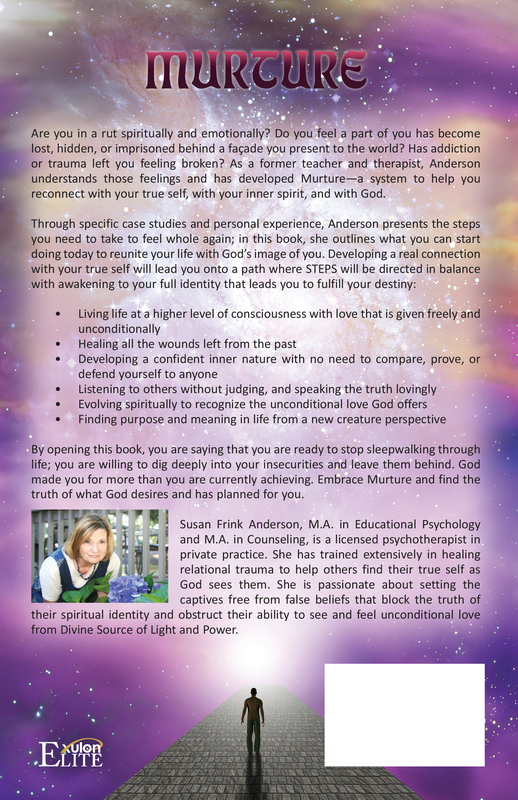 Murture simply is an approach free of any effort to try to get you--the reader--to believe or invest into what I, Susan--the author--believe, but rather to uncover your true self so you can sense truth from the core of your own being. For the most part, I do not instruct my clients what to do. Rather, I empower them with the power of the Creator of the universe so they can personally relate and connect to their own inner power. The desired outcome is for each individual to know and understand that God will speak directly to them in their spirit if they take the time to listen. The inner being of each of us knows truth at the core level. The problem is that most of us suffer from a damaged idea of our self, or we contain a walled-off core. Think of that inner core as made up of parts of your wounds from childhood. The wounded child acts out or in whenever he/she is hurt, but it is out of a childish way. The wound happened in childhood. Therefore, it is stuck in brain memory deep down in the center of that immature brain perfectly intact with the memory of how it felt to be hurt, recorded according to the childish perspective. Layered over that wounded child is an adaptation that was set up at the time to protect the wounded child in order to survive the pain. That pain is buried deep in the brain’s center. It walls off much of the pain because it is little and dark in the understanding due to lack of being able to express feelings or be heard. Defense mechanisms work great when we are kids. As adults, their default settings go to reactive feelings that trigger anger, sadness, or some kind of shut down right out of the “animal brain” that instinctually senses the need to protect when triggered to perceive danger. This causes a need to assign blame or shift it from one person to another. When we are under this immature influence, we are still trapped in fear mindsets that bring in negative energy causing a chain reaction with the other person we are trying to relate to at the time. Many times both people go offline from the present to a “somewhere back in time” place. They begin swimming in a toxic sea, full of unresolved issues that are way out of balance. The trapped fear appears to “make you” feel as though you are literally being suffocated. Murture sets you free from these old patterns. It raises awareness to stay “present with your present self” in order to remain stable enough to get in touch with the reality of that self in the moment. Connecting to your true self through feelings of love for your inner being helps discern truth from inside out. You are merged with truth. That merger gives the constant nurture to set you free to know you are loved. The reactive triggers are still felt but the ability to self-regulate them and stay centered keeps you online to what is happening at the time without the added past flooding of old feelings. As you feel loved and nurtured in your current new conditioning, the old pain heals and the “need to defend or offend” layers melt down, exposing more and more of your divine essence. Under the influence of love, more light comes in to warm up the true self to shine out without fear of vulnerability. The need to hide is gone because being awake is much more joyous and lighthearted. There is no need to be a victim or a villain. There is only a need to find victory over the past so it can be left behind. Peace, harmony, and the feeling of permanent grace for all others is the theme of each new day as enlightened understandings show the way to walk that out with pure motivation and willingness. When you live in a way where grace is in place all the time, you are definitely living out of the Godhead. 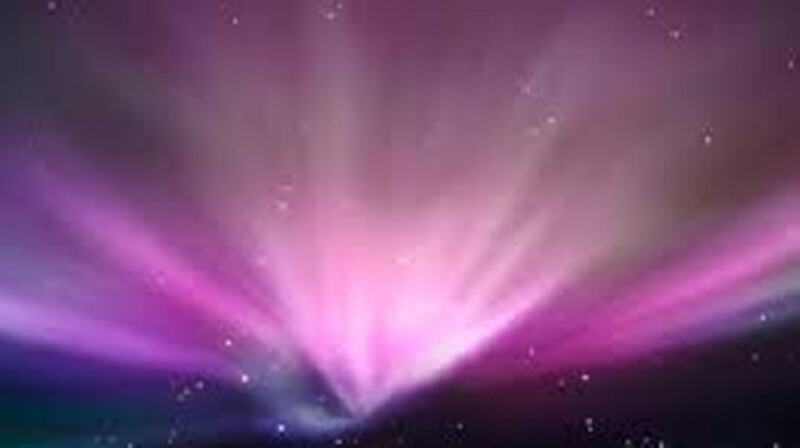 This just means that since God is omniscient, you are tapping into the oneness with the Knower of all things. This relationship happens spirit to spirit and is as real as if God were speaking directly to you wherever you are because He is also omnipresent—everywhere at all times in everything. Grace is also empowering since you know the omnipotence of God. The all-powerful Protector is looking out for you, so you can relax and not worry. There is nothing to fear when His grace shields you. Knowing all this allows you not to want to take matters in your own hands and try to “fix” things. You trust that God has it in control, and it will be done according to the best plan for you (better than you could hope or imagine). You can calm the anxious fears that used to give you all kinds of dis-ease (anxiety and depression) within your inner self. Resting and relaxing without anxiety is the peace that passes all understanding and calms your nervous system. Living in bliss over instability leads to regulated moods that produce more peaceful living, rule out doubt, and clear the mountains of shadows that have been influencing you in negative and darkened ways. Judgment of others no longer clouds your brain. Murture is a system that can get you on a path of healing and wholeness and will keep you focused on that goal. When you get off focus, this resource has ideas, tools and strategies to help keep your steps in balance and focused on that goal without getting distracted by other humans who are also in need of healing and wholeness. The contents of my book shows how to go through the process of learning to receive unconditional love from a Power Greater than yourself that aids you in the journey to wholeness in your true identity. When a human depends on others or any external conditions, they are at risk for detours off their own path to destiny. Think of it as a great guide to do some digging to uncover your real self and let God heal the parts that are blocking or keeping you from being open and operating out of your best self. As you continue to be open and comfortable in the REAL you without the masks, you will grow and develop in new ways that transcend your previous ways of living. These new ways will lift off the heaviness of depressing thoughts and anxious ways of behaving to handle or cope with life. The old ways will be replaced with calm and peaceful methods and behaviors that allow you to live in balance. This stability will be easily maintained and keep you on the Path of Complete Wellness, mind, body, and spirit, as you continue your Journey on the Road of Life. "The subject matter of "MURTURE" has me enticed to digest this resource tool. Anderson has a tremendous wealth of life and professional experience which she has drawn upon to benefit her own life and that of her clients for positive betterment. 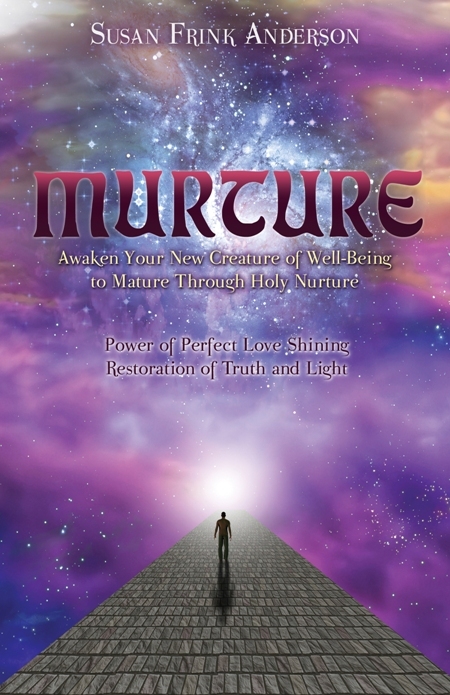 Now, with the release of her work, "MURTURE" everyone can enjoy her counseling insight. Having the benefit of an early overview of this publication, I am confident that application of her guidance in this book will help the reader mature/nurture in their life journey--finding balance and tranquility in abundance--and ultimately, to enjoy a thriving relationship with one's self, with God and with others."